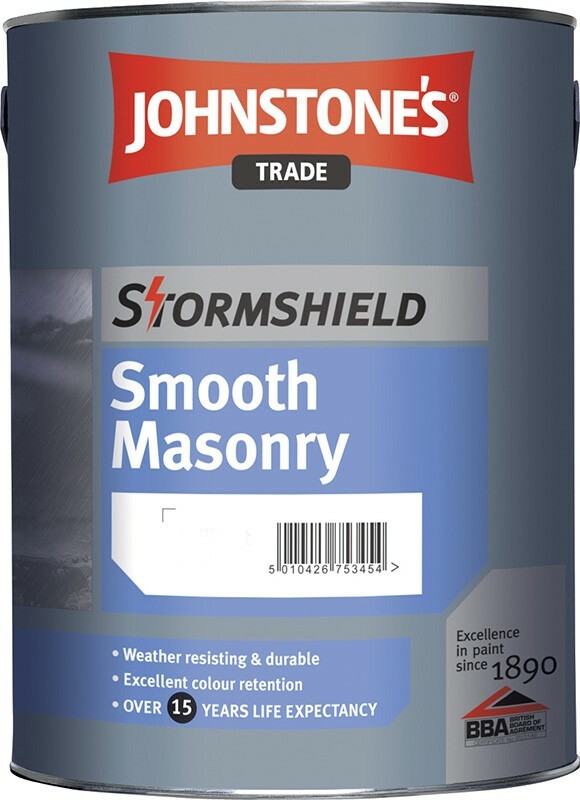 Customer review: "Have used this product before and am very satisfied, excellent price and quick delivery, highly recommended." Enter your colour reference below. Volume trade discounts available on request.Please note: 10 Litres can be delivered as 2x 5L. Volume trade discounts available on request. 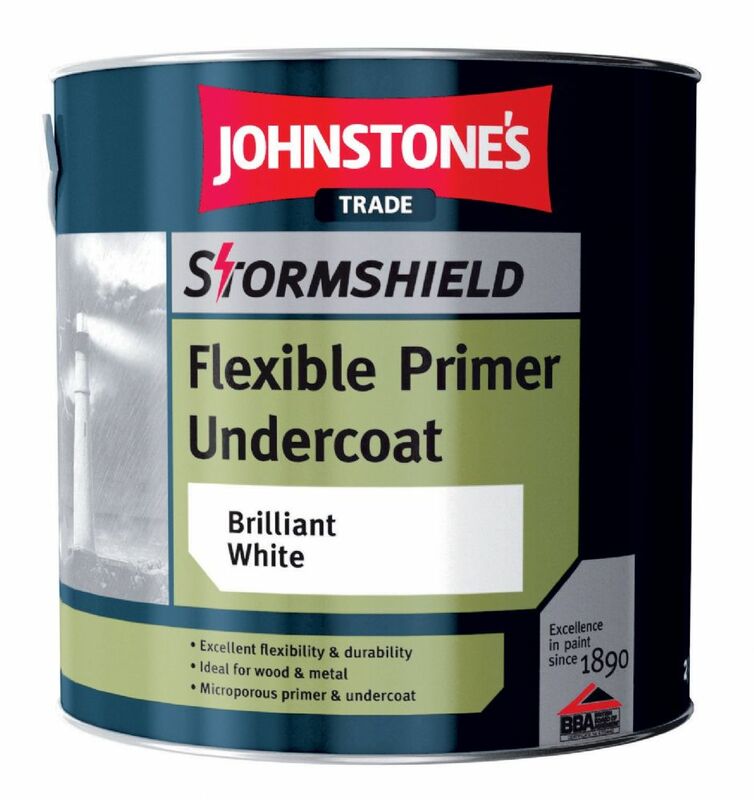 Customer review: "Great paint, great price and quick delivery. Will be ordering more in the near future." 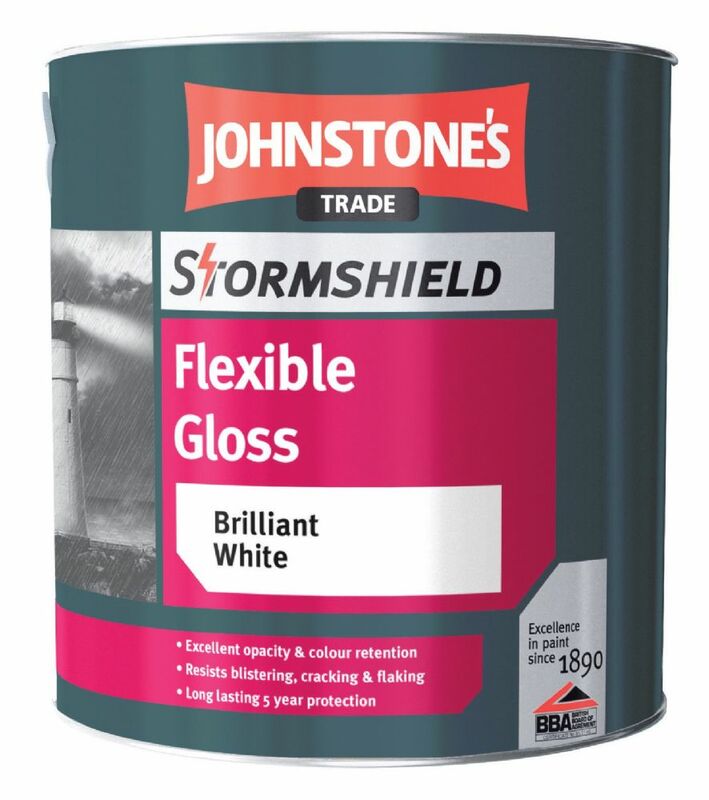 Johnstone's Stormshield paint. 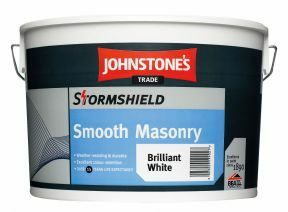 Smooth Masonry paint for brickwork and walls, Exterior Undercoat and Gloss and the new Satin Finish Stormshield product. 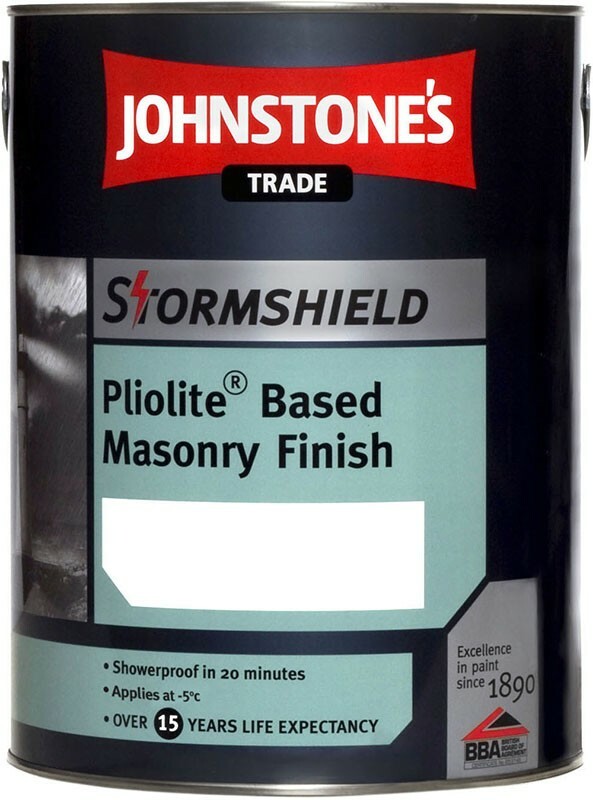 Johnstone's Stormshield Pliolite for work in tougher conditions. 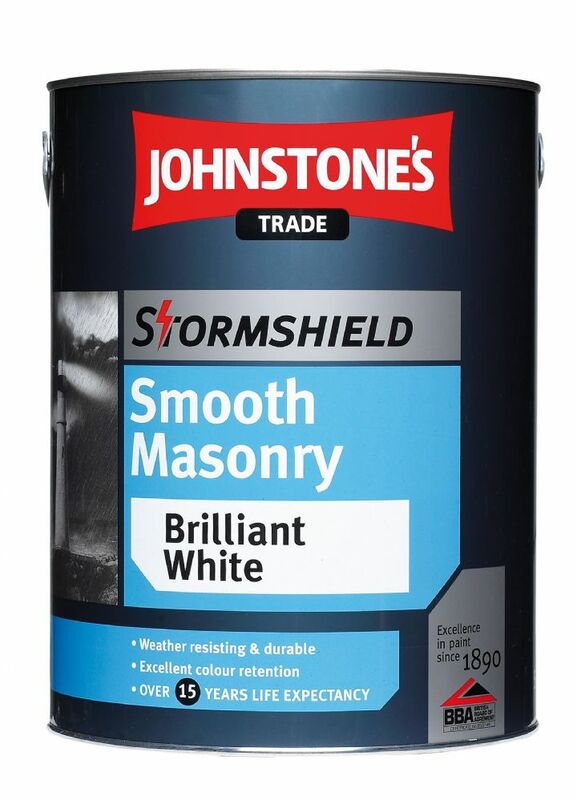 Highbuild Textured Masonry finish products and Stabilising Solution and waterseal complete the offering.